In our daily routine we don’t usually pay enough attention to the state of our skin. Forgetting about doing basic procedures regularly, people even aggravate the situation. Now and again we buy and use a lot of beauty products and do “turbo” home facial. Is this familiar to you? All of us want to be and look beautiful. But our schedule often doesn’t allow to have an utter face and body care. 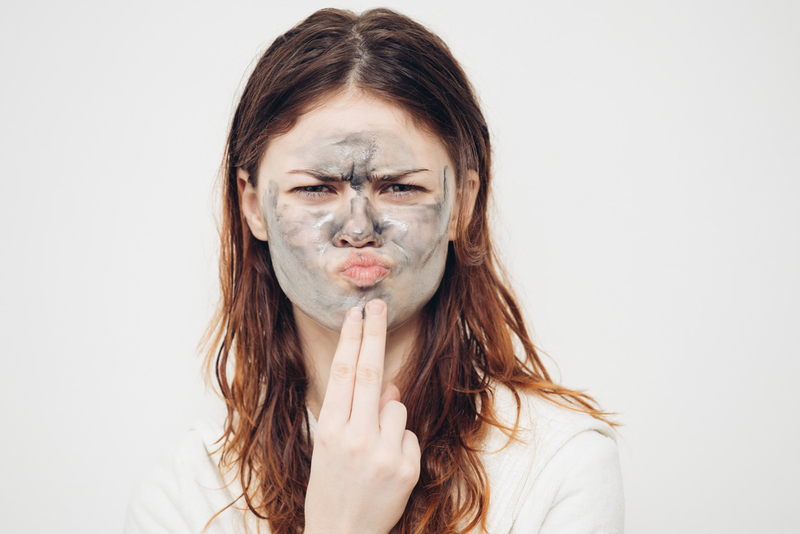 Environmental dust, car fumes, not proper make-up removing – all these may cause skin problems. More often because of these factors we have clogged pores, blackheads, breakouts and dull skin. Everyone has their individual skin needs and concerns. Therefore, ladies and men should use only those products, which contain not dangerous extracts and ingredients to their particular skin. But a variety of beauty products in stores may deceive and misinform you, so the buyer won’t get the desired result. So, what is the main difference between the results of spa and in-home facial? It is a very common question that everybody asks when talking about a facial: Why can’t I just get it done at home without spending my money? Of course, you can take care of your skin at home. And should! To maintain good skin condition. But to do it in the right way you should consult your skin care specialist with the products and techniques. Using the right cleansers, toners, creams and masks that can improve your skin condition, make it softer and smoother. At the beginning you may think that some professional procedures are more expensive than buying creams and using them on your own. Maybe you even can’t afford the spa treatment? Only before you think through it! When you buy some beauty products you can’t even know for sure if they help or not. It happens because of a variety of stuff that we see in the store or commercial stands. They have been made to be sold, so you shouldn’t believe everything, which was written on a label. If you make a wrong choice, you may aggravate your skin, get a bad reaction or at least no result. Therefore, you will need to buy another skin care products to find the best one. More and more. In the best case, you won’t harm yourself and won’t need to see an esthetician to heal the skin. But you can’t be sure. Curing the affected areas will cost you much more than a regular facial. Is removing blackheads with your own hands your favourite thing? Stop doing this immediately! Popping and squeezing is the worst way to deal with comedones, whiteheads, blackheads and spots. You can not only injure yourself but even get infected because of carelessness. Not knowing of the right way of doing facial may cause a lot of problems. An average person usually doesn’t care about all rules for dealing with his skin. Its cells are affective and may be ruined because of your mistakes. Most people don’t know when healing ends and harming starts. The rule that “more intensive is better” doesn’t work in cosmetology. But not everybody knows where to stop. Who Should Get a Spa Facial? Everybody can get a professional facial. It is up to you to decide, which variant is the most appropriate. But there are some risky situations that you can’t deal with on your own. For example, if you don’t have any diseases and skin problems (allergies, acne) you can do some procedures at home using ready or homemade masks and scrubs. But if you have some problem areas on your face or neck, it is important to see a specialist before doing any manipulations with beauty remedies. In spa you can get a check of your skin condition and have a consultation, where a professional esthetician will recommend a set of procedures. They will be based on your individual needs, type and state of skin, age and main goals that you expect to achieve doing facial. It is important for people with damaged cells to be more careful and have a proper treatment, because basic home manipulations may deepen the problem or even get your blood infected. The qualified specialist will deal with your skin properly. Knowing right techniques allows making all the process easier and faster. Also, the professional equipment helps to provide many different procedures, not only a cleanse or apply a mask. In the spa you can see, for example, magnifying lamps, which are necessary to examine the condition and needs of your skin. After that, the specialist will recommend which type of facial to choose. You can optionally add treatments and procedures, which suit your individual skin needs. Moreover, in the spa you can get a deep cleansing of clogged pores. Removing blackheads passes relaxing because of the steaming and massaging the surface without any harm to your skin. At home you can’t do the extraction properly, so the removing won’t be deep enough. The biggest benefit in spa facial is the using professional equipment and your skin specialist knowledge and skills, which will make your procedure fast, easy and less stressful. It will also eliminate the pain, which you can feel during in-home manipulations. One of the biggest advantages of the spa facial is using the variety of professional beauty products, which are divided by the direction of an impact. Due to the careful analyze the specialist will know which one to choose, so you will get the best result without harming your skin. In the salon you may just relax and relay on the esthetician. You won’t have to jump in front of the mirror with a strange face trying to deal with blackheads and clogged pores. All facials include professional cleanse, examining the condition of your skin, exfoliation of dead cells, mask, facial massage, hydration, oxygen infusion, SPF. During the procedure, you will be in the relaxing atmosphere, with soothing music to refresh your body and calm your mind.